Our Master of Public Policy graduate students are required to engage in real-world policy analysis as part of their education. The result is a body of research representing fresh thinking about longstanding topics in public policy and a more well-rounded graduate education. 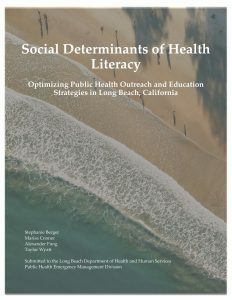 Client: UCLA Center for Health Policy Research. Client organizations needed! Does your organization have a policy question it needs to address? 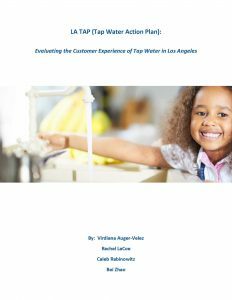 This brochure provides information for organizations that would like to have a team of UCLA MPP students consult on these issues. The Association of Master’s of Public Policy Students (AMPPS) is a student organization representing and advocating for the interests of public policy students. Every student is a member of AMPPS and is invited to attend AMPPS events and meetings. Each year, AMPPS organizes events such as quarterly town hall meetings with the department’s chair, faculty, and staff; professional development lunchtime talks; a department graduation celebration and award ceremony; and the composition of memos to the department from the first-year and second-year classes offering suggestions for continuous quality improvement in the MPP program and the Luskin experience. Policy Professionals for Diversity and Equity (PPDE) is committed to cultivating future policy makers who reflect California and the nation’s increasingly diverse communities. 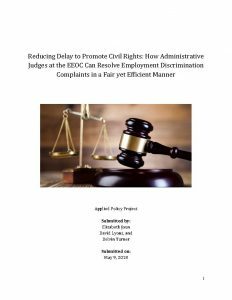 We believe that the experiences that come from members of underrepresented communities enrich the public policy decision making process and broaden the perspectives and discussions that occur in public policy. Outreach: By connecting prospective students with current students, outreach aims to create a space at Luskin for underrepresented students. We do this with our peer advising program, assisting with Welcome Day, and reviewing incoming MPP applications. Advocacy: Voicing and representing student concerns regarding equity and diversity, including but not limited to: the academic curriculum, faculty and student diversity, and graduate school affordability. We do this through action-oriented campaigns, strategic partnerships, and solidarity with similar causes. Programming: Providing students with opportunities to share ideas and understand diversity and equity issues, opportunities to lead on diversity and equity projects, and connecting students with local communities. We do this through facilitating discussions, putting on a policy symposium, and volunteering with nonprofit and community organizations. PPDE is open to all UCLA MPP students and alumni at UCLA. We invite you to join us to ensure diversity and equity in UCLA’s MPP program! Questions about the organization can be directed to Erica Webster, ppde@ucla.edu. Ask us about our prospective MPP student mentorship program, student-led course on “Social Justice in Public Policy”, “UCLA Luskin Diversity Day”, “Welcome Day”, and “Social Justice Policy Symposium”. We are here for you! If the calendar does not display properly on your device, click here. Please click here for a list of campus resources. The petition should be submitted to the Director of the MPP Program and the Curriculum Working Group. Following Curriculum Working Group review and MPP Program Director approval, final approval of the course resides with the Department Chair. Such approval will take into account the demand for courses that the faculty member would otherwise teach. Student initiated courses can be student-led under faculty supervision (and numbered 298), or may lead to special topics courses taught by faculty or visitors, resources permitting. Students may complete a maximum of two student-initiated (PP 298) courses for credit during their degree program. All PP 298 courses are graded S/U, while special topics courses may be taken for a letter grade or S/U. Faculty agreeing to supervise a student-initiated course are responsible for determining that the readings, topics, and assignments are appropriate in scope and scale to a graduate course in Public Policy. Faculty are expected to attend each of the class meetings, except by special arrangement (as with other courses that they teach), and are responsible for overseeing and approving the grading of assignments and the assignment of final grades. A number of resources are available to UCLA Luskin students to fund their studies, including fellowships that can provide multiple years of funding to students who know to apply for them. The basis for eligibility can vary: they can be broad in availability and awarded based on academic merit, or selective and available only to students meeting precise conditions. Many may only be available to students in their first or second year. It is imperative that students inform themselves and begin the application process early. The Department of Public Policy itself awards several fellowships based on merit and policy focus. Like many others fellowships, some have specific qualifications, while others are awarded based on overall academic performance, professional experience, and future potential in public policy. The following fellowships are designated for the Public Policy Department to honor distinguished applicants who have demonstrated outstanding merit in their preparation for engaging in graduate studies in public policy. These fellowships will be awarded based on the applicant rankings by the Admissions Committee. This fellowship was created to strengthen UCLA Luskin’s efforts to compete for, recruit and retain outstanding graduate students to its excellent academic and professional degree programs. Calvin and Marilyn Gross are long term supporters of the School of Public Affairs, having given the founding gifts to the Dukakis Internship endowment. They have established an endowment that will enable the Department of Public Policy to annually fund an outstanding graduate student demonstrating commitment and involvement to public service. A fellowship awarded by the Public Policy Department to recognize the excellence of outstanding applicants and students. This fellowship recognizes outstanding students pursuing policy analysis and graduate education in various aspects of health and social policy. Applicants need to provide a brief statement (half-page double-spaced, 100 words) indicating their interest and/or background in health and social policy. This fellowship has additional eligibility qualifications and requires a supplemental statement. The Public Policy Department offers a concentration in transportation policy and planning. Transportation policy students can choose from among five graduate transportation policy and planning courses and three other transportation-related courses in designing their program of study. The School houses a branch of the University of California Institute of Transportation Studies, which offers renewable one-year graduate fellowships, research assistantships where students work with faculty on transportation policy research, and financial aid to students attending transportation conferences. Fellowship recipients must be U.S. citizens or permanent residents, must take or waive out of at least four approved transportation policy and planning courses during their studies, and must complete their Applied Policy Project on a transportation-related topic. To apply for this fellowship please include a brief statement (half-page double-spaced, 100 words) describing your interest in the transportation policy and planning concentration or any background that you may have in this area. This fellowship has additional eligibility qualifications and requires a supplemental statement. 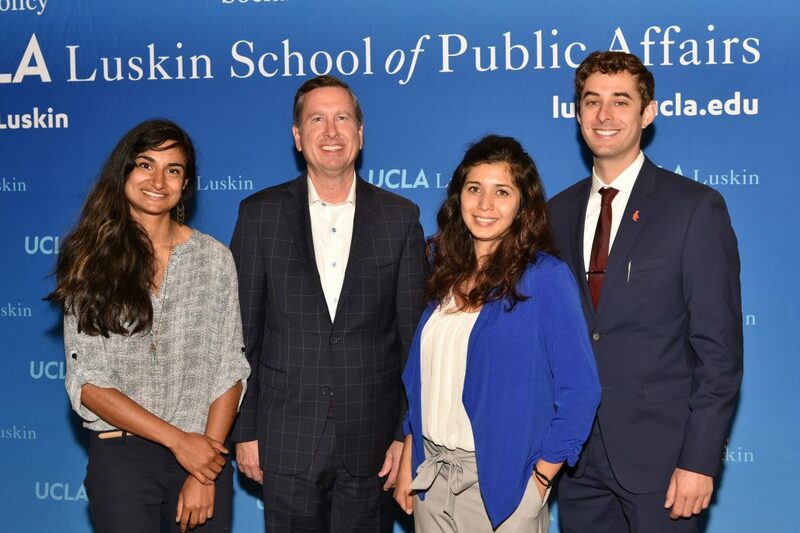 The Ronald Reagan Public Policy Fellowship, underwritten by The Draine Family Charitable Foundation Inc., supports UCLA Luskin graduate students in studying Ronald Reagan and the effects of his economic, social, and international policies on the State of California, the Federal Government, and the world. The Fellowship allows its recipients, as interns, to gain access to the archives at the Ronald Reagan Presidential Library, and with agreement by the Foundation’s Executive Director, to publish their findings as a resource to scholars, teachers, and students on the Foundation website. For more information, visit the Ronald Reagan Library website. Learn more about school-wide fellowships and internships here. “Academic Apprentice Personnel” is the term applied to registered graduate students who have fulfilled the University’s established criteria for appointment (no more than 50% time) to teaching or research assistantships, and for which they are compensated at rates approved annually by the Regents of the University of California. These apprenticeships are intended to provide qualified students with relevant training experience for academic and academic-related careers in teaching and research and to augment limited resources from within the University for graduate student support. As a matter of University policy, apprentice personnel in both the teaching and research series are considered primarily as students being professionally trained. Graduate students who are recipients of teaching and research assistantships must meet all registration and enrollment criteria established by the Graduate Division and the department. They must also maintain satisfactory progress throughout their appointments. Teaching assistants are selected on the basis of scholarship and promise as teachers and serve an apprenticeship under the tutelage and supervision of regular faculty members who are responsible for curriculum and instruction in the University. Research assistants are appointed to the title graduate student researcher (GSR), and are selected on the basis of scholastic achievement and promise as creative scholars and serve an apprenticeship under the direction and supervision of a faculty member. Current salary scale tables for teaching & research series, readers & special readers, and remedial tutors. Summary of benefits, requirements for maintaining benefits, and acknowledgment statement.